You’ve got your oral health routine nailed. You know the perfect brushing technique and you floss right before bed like clockwork. You even have a favorite mouthwash you’ve stocked up on. In your mind, you don’t need to visit the dentist this year. However, did you know that your dentist in Zionsville can perform cleanings and services that no at-home care can match? Additionally, if you want to avoid future dental emergencies, you’ll want to keep reading. Regardless of age, patients need to schedule at least two checkups and two cleanings a year at minimum. 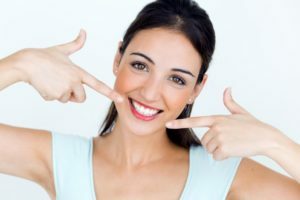 You might think you can remove all plaque before it damages your teeth, but that unfortunately is not the case. When the plaque you miss builds up, it turns into a more hardened form called tartar, which if gone untreated can cause cavities and gum disease. With special instruments designed to remove hardened plaque from hard-to-reach areas, dentists perform a procedure called scaling and root planning. This treatment lets the dentist remove plaque buildup below the gumline and on the tooth’s root, farther than what you can normally reach at home. These are usually done in tandem after the dentist confirms it’s necessary. Normal consumers can’t afford the highly advanced equipment that dentist carry. This means you’ll have to visit your dentist to confirm there are no dental issues invisible to the naked eye. To do this, the dentist will take X-rays before your cleaning in order to reveal damage and decay you can’t see at home. X-rays can also detect early signs of oral cancer you would have never known about. The earlier you discover this, the easier it will be to treat it and avoid a dental emergency in the future. Many dental emergencies can be prevented if you regularly see your dentist. Despite your brushing regimen, only a licensed dental professional can determine if your mouth is free of decay. During your checkup, your dentist will examine your teeth, gums, bite, and existing restorations to make sure they are not at risk for serious medical problems. A routine checkup is also important if you plan on going out of the country or in a place where emergency dental care won’t be available. If you have any loose crowns/ teeth or decay that’s close to your tooth’s nerve, catching it early will prevent a dental emergency later. Be proud to visit your Zionsville dentist regularly. Your teeth will thank you in the long-run, so contact them to schedule an appointment today! Dr. Angelo M. Julovich, DDS, graduated from the Indiana University School of Dentistry in 1982. Thanks to his practice’s world-class dentistry and numerous specialized dental techniques and technologies, Dr. Julovich was recently voted Top Dentist for a 9th consecutive year! He is also a member of many dental associations, including the ADA, the Chicago Dental Society, and the Indiana Dental Association. To learn more about his practice, you can contact him at (317) 769-3335 or visit his website.